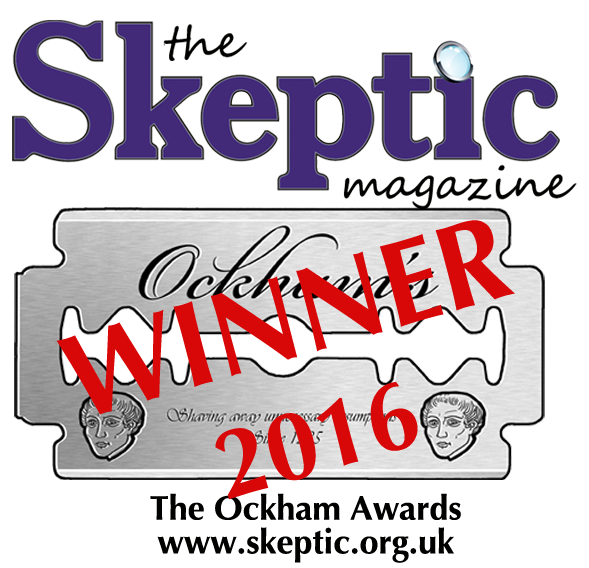 Earlier this year, we toyed with the idea of an award to recognise those politicians who promote pseudoscience and anti-science. Names such as David Tredinnick (Conservative) came to mind for a whole series of reasons, ranging from his vocal support of homeopathy to his sympathy for astrology. That is why the MP for Bosworth is often dubbed the MP for Holland and Barrett or the MP for Narnia. (Most worrying of all, David Tredinnick is on both the Health Select Committee and the Science and Technology Select Committee. Indeed, the award could have gone to entire political parties, ranging from UKIP and its attitude to climate change to the Green Party and its hostility to GM. Oddly, both UKIP and the Green Party seem to have a common pseudoscientific interest in supporting homeopathy. However, carrots have replaced sticks, and instead we decided to reward those politicians who have stood up for science and rationalism in Parliament. There were not very many nominations – not surprisingly – but the three politicians that we have chosen are worthy winners of the Golden Eagle Award. Julian Huppert (Liberal Democrat), MP for Cambridge. Chi Onwurah (Labour), MP for Newcastle upon Tyne Central. Sarah Wollaston (Conservative), MP for Totnes. You can read about each of the MPs below. The prize is £500 for each MP to donate to a science-friendly charity of their choice. Julian Huppert (Liberal Democrat) is MP for Cambridge. He has a PhD in biological chemistry and has worked as a research scientists studying the structure of DNA at Cambridge University. Author of the Liberal Democrat document “Policies for Science and Research” in 2012, he is a keen supporter of both the Science is Vital and All Trials campaigns. He has frequently promoted evidence based policy in areas such as misuse of drugs, evolution and creationism in education, abortion and complimentary therapies. Discussing the use of evidence based policy, he noted “…But I would argue throughout for evidence-based policy, not spin-based policy or policy-based evidence. More scientists and engineers are needed in Parliament to deliver this”. His prize will be donated to the Cambridge Science Centre; an educational charity which hosts hands-on exhibitions, workshops, shows and talks to get the public excited about science and technology. Chi Onwurah (Labour) is the MP for Newcastle upon Tyne Central. She has a degree in Electrical Engineering from Imperial College, University of London and has a background in hardware and software development. Prior to becoming an MP, she was Head of Telecoms Technology at OFCOM. She has recently been campaigning for the government to help increase the number of women in STEM professions. She is particularly concerned with engineering – she says only 6% of professional engineers are women. She will be donating her prize to Practical Action; an NGO using technology to challenge poverty in developing countries. Sarah Wollaston (Conservative) is MP for Totnes. She has degrees in medicine and pathology and has worked both as a GP and police surgeon. She is a supporter of the All Trials campaign, asking questions in parliament and facilitating a meeting between the campaign organisers and the Secretary of State for Health. She considers homeopathy “dangerous claptrap” and reported the organiser of an alternative therapy cancer conference to Trading Standards. A health select committee member, she refused a position of PPS in order to retain her independence to vocalise views that are sometimes contrary to the party line. This was exemplified by her criticising the government for backtracking on minimum alcohol pricing shortly after the appointment of Lynton Crosby, whose company has ties to the alcohol and tobacco industries.